It may not look like much, but it lets me very easily create a sketch blog. It uses one SWF, which checks a database to see whether an entry exists or not (it gets the entry name from the FlashVars variable — see the source code of this HTML page). If the entry doesn’t exist, it treats the file like a blank canvas. When I draw on the canvas, I can then hit enter and send the drawing I did to the database, where it creates the new entry. If the name does exist in the database, then it just loads the drawing. What has Jesse been up to lately? At Zentropy, I’m working on a couple of projects for Gushers fruit snacks. Pretty cool Flash stuff, too. I’m working on phase two of a site called Gushers Mystery, and one more Gushers-related project I’ll give you all the details on when it’s live. In my free time, I’ve been doing work for GNUstep, an open source implementation of the OpenStep specification, which was also used as the basis for Apple’s Mac OS X. It’s a very cool project, with a lot of really awesome developers. Some of the developers of GNUstep are also creating desktop distros which use GNUstep to provide a programming framework on top of Linux or other OSs, such as Windows or *BSD. There is even a GNUstep LiveCD available to check out the cool stuff people are making. 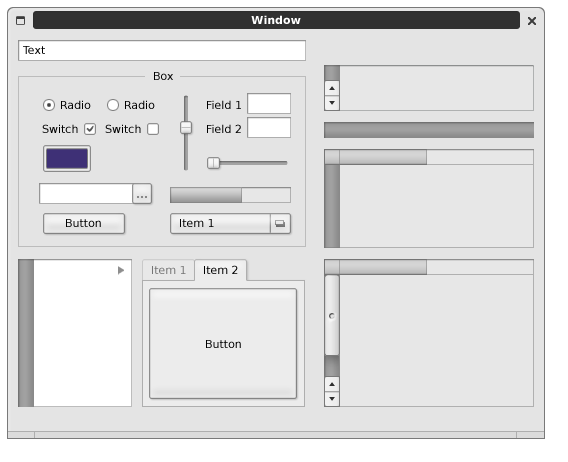 As my part of GNUstep, I’ve been working on UI and Identity issues. I’ve done some mockups   of an updated desktop and theme, and icons for a bunch of projects, such as Installer.app, HelpViewer.app and Gorm.app. I also recently did their promotional booklet [PDF, 2.9MB] for FOSDEM, the Free and Open Source Developers European Meetup. So, those are the details. Pretty fun stuff… I can’t complain. with Blogger, since I destroyed by other blog, apparently. Oh well, I didn’t make that many posts to it anyway. My name is Jesse Ross. I am a web designer. Feel free to visit my portfolio. I like to draw, program, and give my baby lots of kisses. So, yeah. That’s my story.